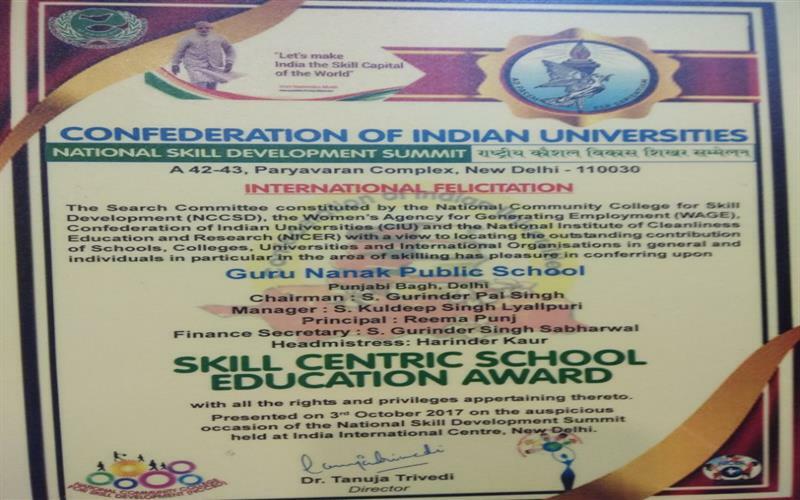 OUR SCHOOL WAS CONFERRED WITH ‘SKILL CENTRIC SCHOOL EDUCATION AWARD’ FOR EXEMPLARY TEACHING IN AN INTERNATIONAL FELICITATION CEREMONY AT INDIA INTERNATIONAL CENTRE ON 3RD OCTOBER 2017 ON THE OCCASION OF NATIONAL SKILL DEVELOPMENT SUMMIT.. 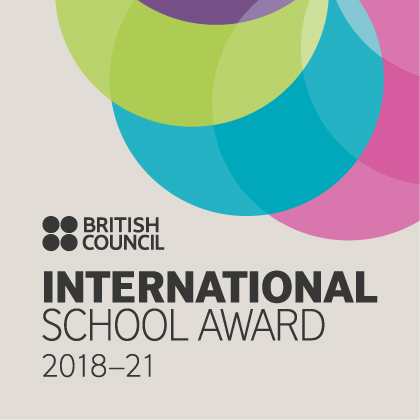 THE SCHOOL IS PROUD TO BE SELECTED AMONG 20 WINNER SCHOOLS OUT OF COMPETING 4000 SCHOOLS ACROSS THE COUNTRY. 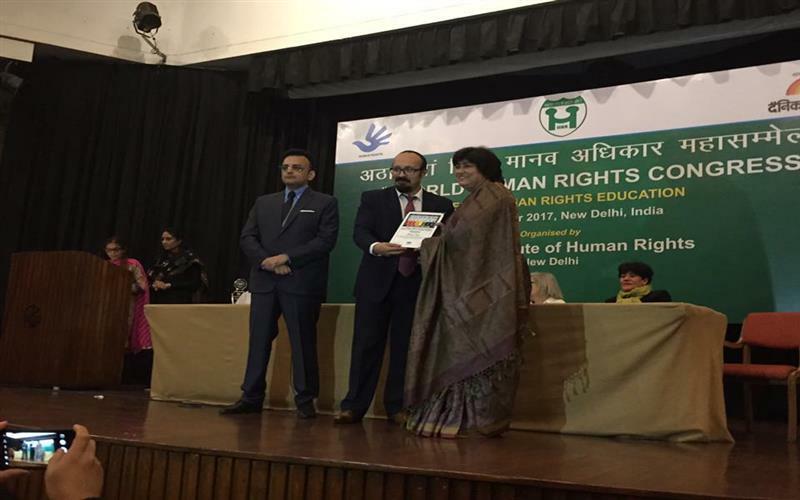 SCHOOL HEADMISRESS MS HARINDER KAUR ATTENDED THE AWARD CEREMONY. THE CHIEF GUEST SH. RAM NIWAS GOEL, HON’BL SPEAKER, DELHI VIDHAN SABHA AND VARIOUS NATIONAL AND INTERNATIONAL DIGNITARIES LIKE MR JUAN FREER, CHARGE’ D’ AFFAIRES, , EMBASSY OF BOLIVIARIAN REPUBLIC OF VENEZUAL, MR MOHD. ABDI SHEIKH ADAN, COMMERCIAL ATTACHE, EMBASSY OF SOMALIA, HE MR PETKO DOYKOV, AMBASSADOR OF BULGARIA, HE MR NIANKORO YEAH SAMAKE, AMBASSADOR OF MALI GRACED THE OCCASION. 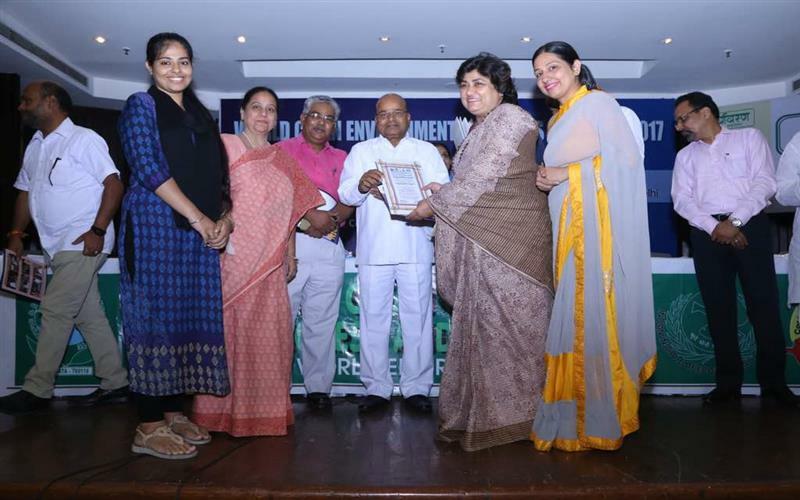 In recognition of the outstanding contribution of the school in the fields of environmental protection, cleanliness, hygiene and sanitation education – Principal Mrs Reema Punj and eco club members Ms Harmeet Kaur, Ms Jasminder Kaur and Miss Banmeet Kaur received the prestigious CLEAN ENVIRONMENT, EDUCATION AND PROMOTION AWARD on the occasion of the WORLD ENVIRONMENT DAY CELEBRATIONS on 6th JUNE, 2017 . AN ART COMPETITION WAS ORGANIZED ON 1ST SEPTEMBER BY TATA CLASS EDGE ALL OVER INDIA ON THE TOPIC – GUARDIANS OF THE ROAD. 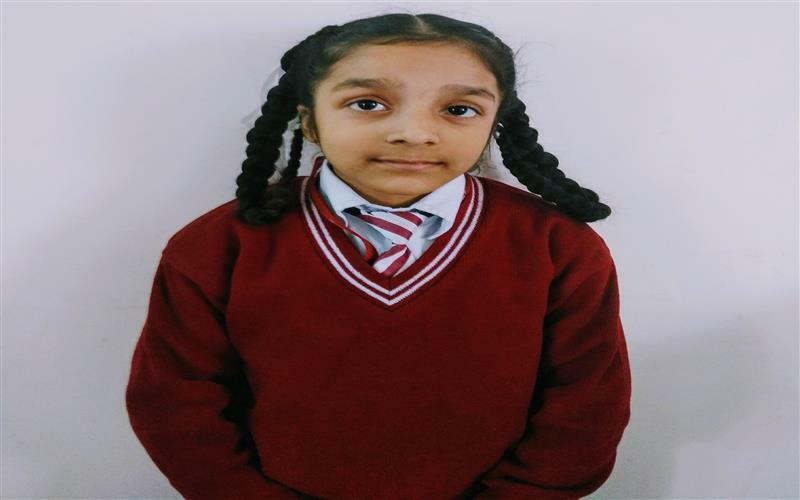 WE ARE PROUD THAT OUT OF 7000 ENTRIES FROM ALL OVER THE NATION , PRABHNOOR KAUR OF III-D FROM OUR SCHOOL BAGGED THE FIRST PRIZE IN THE PRIMARY CATEGORY (6-8 YEARS). THE TROPHY AND MERIT CERTFICATE WAS PRESENTED BY TATA EDGE CEO MR NIRAV KHAMBHATI TO OUR PRINCIPAL MRS REEMA PUNJ ON 18TH NOVEMBERIN THE PRIZE DISTRIBUTION CEREMONY ATTENDED BY VARIOUS PRINCIPALS OF A NUMBER OF PRESTIGIOUS SCHOOLS. 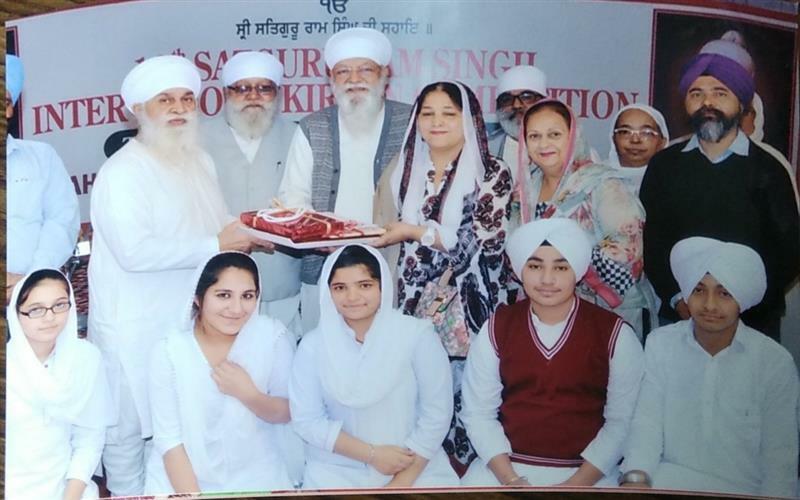 WE CONGRATULATE PRABHNOOR KAUR THE ART PRODIGY AND MS. HARNEET KAUR (ART TEACHER) UNDER WHOSE ABLE ++GUIDANCE THE CHILD EXCELLED !! 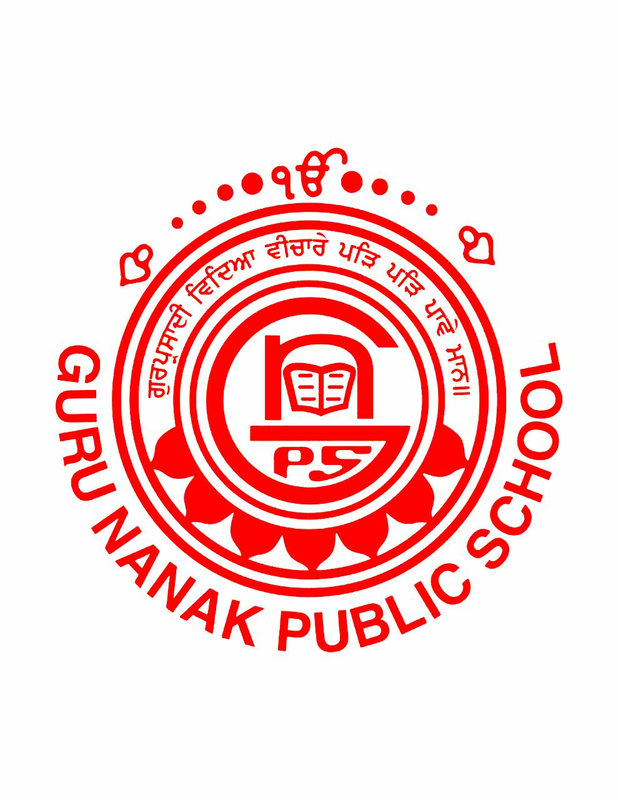 OUR STUDENTS PARTICIPATED IN 19TH SATGURU RAM SINGH INTER SCHOOL KIRTAN COMPETITION AT SHAHEED BISHAN SINGH MEMORIAL SENIOR SECONDARY SCHOOL ON 21ST NOV, 2017. OUR SENIOR TEAM BAGGED THE FIRST PRIZE CONSISTING OF RS.5100/ - , A SHAWL, A BOOK, TROPHY AND CERTIFICATES. WE CONGRATULATE THE TEAM AND MS RAVINDER KAUR – MUSIC HEAD, UNDER WHOSE GUIDANCE THE TEAM EXCELLED ! !